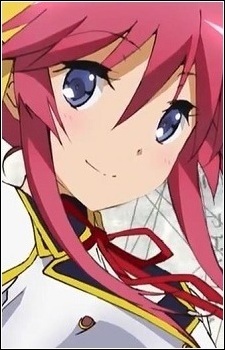 Satsuki is a boisterous girl who is very boastful and brash. She is also Moroha and Shizuno's classmate. She is very attached to Moroha, to the point that she treats him as her big brother and displays the kind of affection of a sister who has a brother complex would display, even though they are not related. This is because they both share the same past life where they were once siblings. It is suggested that during their past life they had an incestous relationship and they loved each other more than siblings should. In this past life, she was a princess named Sarasha. In their present time they aren't related by blood where she can now make him fall in love with her over again. She and her family often move from place to place in order to avoid attacks from Metaphysicals, which makes it hard for her to make friends, which is made worse by her condescending attitude towards everyone excluding Moroha. Despite her attitude she doesn't hesitate to help others, even when she is in a disadvantage, she is good in cooking where she always prepares Moroha's meals. It was later on revealed during her past life she was burned to death by the ancient dragon while fleeing from it.